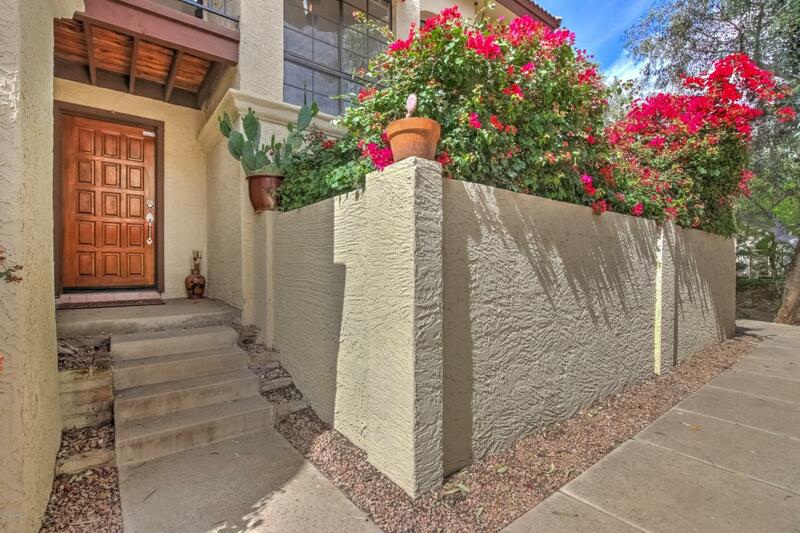 This ultra-charming Townhouse is nestled comfortably at the base of South Mountain. Its serene atmosphere surrounded by colorful nature and abundant wildlife simply can't be replicated. The Unit is vibrant with natural light that shines through perfectly to illuminate its open style floor plan. 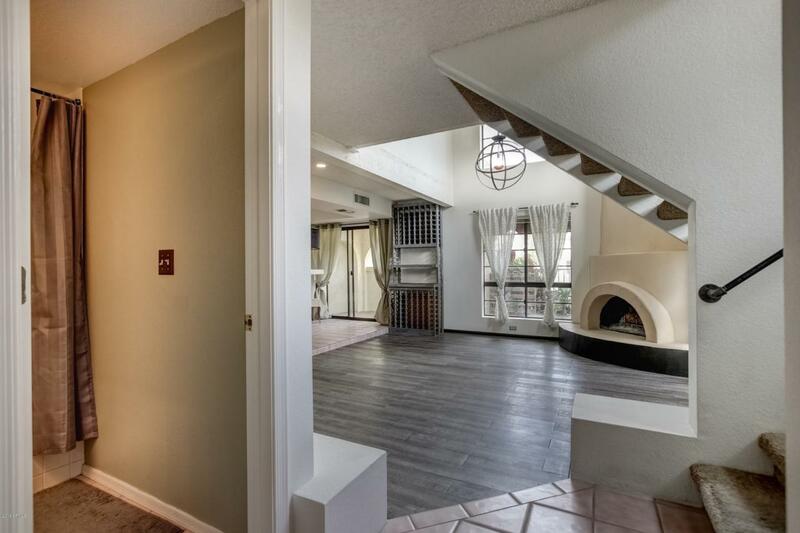 A wood-burning Fireplace rounds out the downstairs area creating a visually appealing and functional focal point. 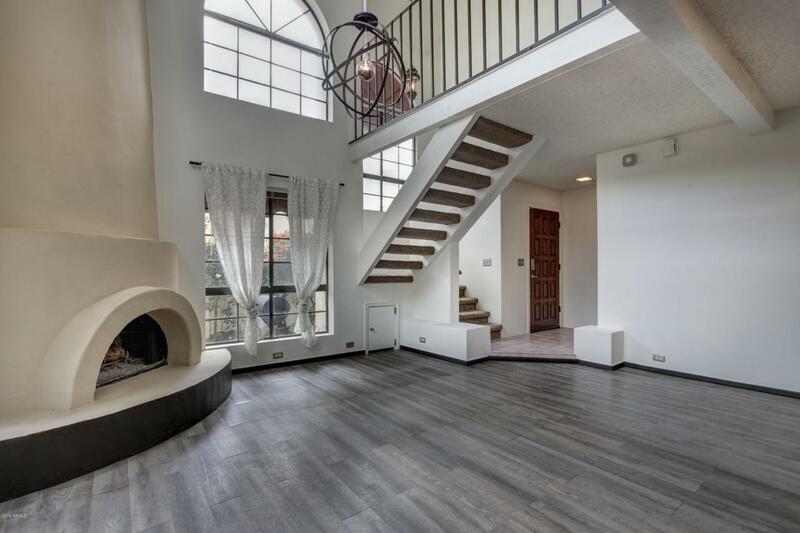 Modern/Industrial style light fixtures and hand rails accentuate the home's chic design while still leaving plenty of opportunity for customization by its new Owner. 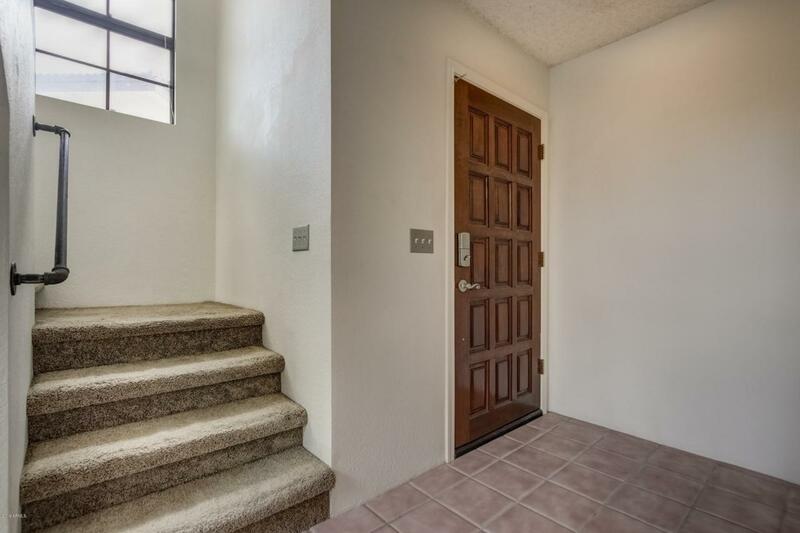 Step outside to a beautiful and spacious Patio that backs to a wash - no neighbors in sight! Several heated Pools/Spas surround the Community and are all accessible to Residents.